In the northeast of Tokyo lies Ueno, which is famous for its many world class museums such as the Tokyo National Museum and the National Museum of Nature and Science. One of the most famous parks in Tokyo, Ueno Park, is a great place to take stroll and relax if you want to escape the hustle and bubble of the city. It’s a great place especially during April when the Sakura season starts. Visit Ueno Zoo inside Ueno Park and see giant panda’s, tigers among many animals. Ueno is also a great place for shopping. With it’s downtown atmosphere, you’ll find big department stores, art galleries and a variety of markets. 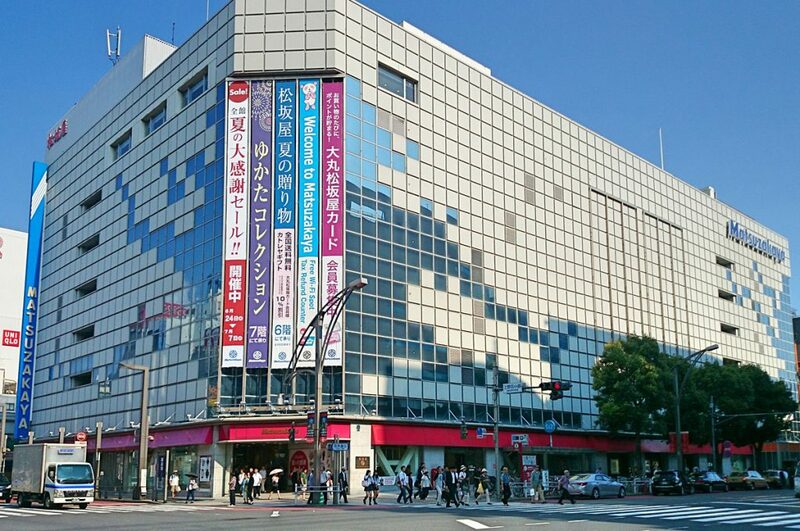 Check out our top 10 list of Ueno Shopping. Located between Ueno and Okachimachi, running along the train tracks, you’ll find Ameya Yokochi (or Ameyoko for short), one of Ueno’s most famous attractions. Ameyoko used to be a black market after the second World War selling mostly American goods and sweets. Nowadays, this former black market is a lively market selling cheap goods, food, fish and clothes. Ameyoko is busy, loud and laid-back. 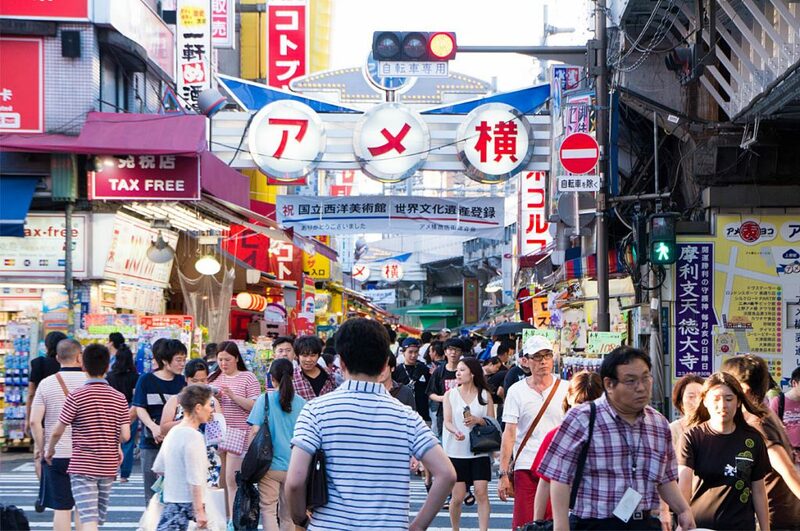 Come to Ameyoko and buy fresh fruit on sticks, shop for cheap shoes or try to haggle a good price for a fancy bag, you can find anything at this open air market. Just a 1-minute walk away from Ueno Station is Yamashiroya. A 7-story building filled full with toys. Each floor has different kinds of toys, you’ll find a whole floor dedicated to board and puzzle games, another floor with plush animals, in the basement you kind find a Ghibli section. You can find trading card games, anime figurines, barbie, toys for very young children, educational toys and video games. 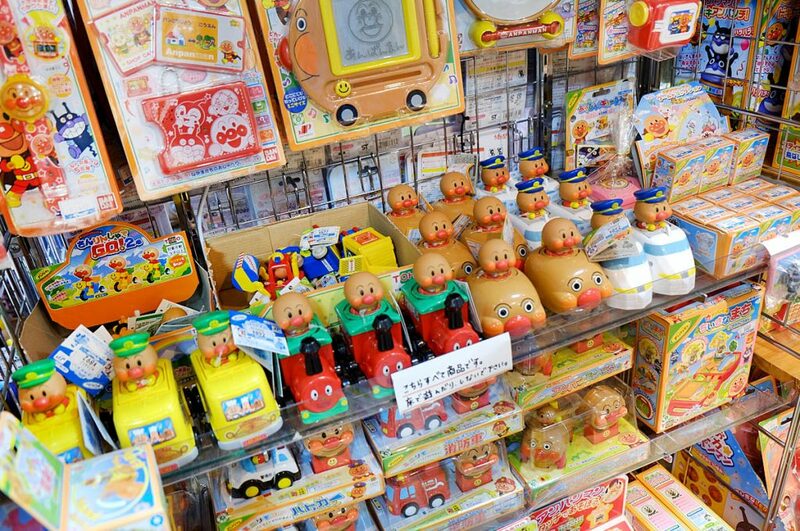 At Yamashiroya you can find a toy for any age group. Come to Kurodaya and browse a large selection of beautiful Japanese handcrafted washi paper. Washi paper wrapped items are sold as souvenirs or gifts at this traditional craft store. If you are into traditional Japanese art, how about a woodblock print or traditional painting. You can also find art supplies used in traditional Japanese art like Japanese calligraphy and Japanese painting. 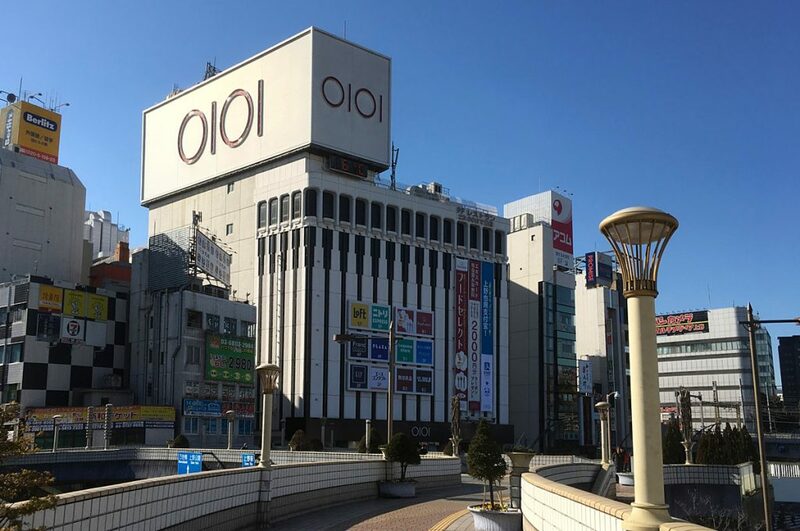 Written “OIOI” but pronounced “marui”, this enormous 11-story department store has everything for men and women such as clothes, accessories, shoes, suits, cosmetics and bags. On the two lower floors you can find a food hall, 2 cafe’s and a Muji store. The 8th floor has a Nitori where you can shop for furniture. If you are hungry, go to the top floor where you can find all kinds of restaurants to still your hunger. If you want to find good clothing for a very cheap price, you have to try Mode Off. 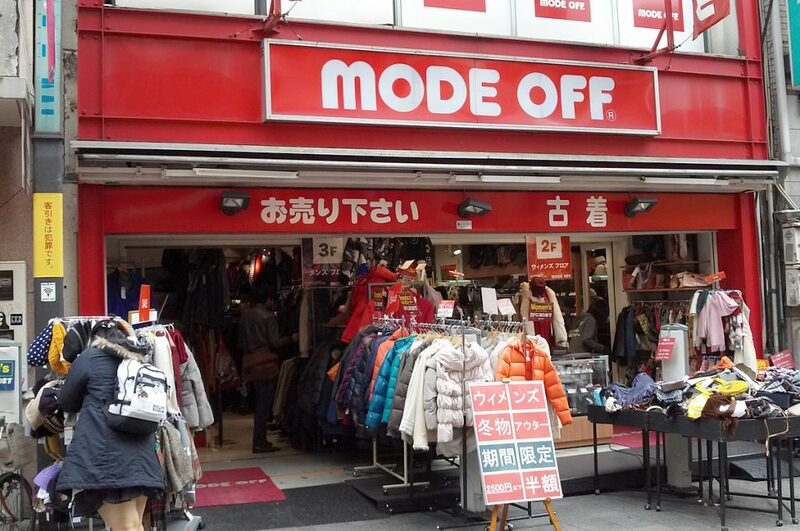 At Mode Off you can browse for fashionable second hand clothing for men and women for a price that is even lower compared to other second hand shops. There is even a 300 yen rack where you can find shirts, skirts and even jackets all for a mere 300 yen. Look for a hip T-shirt or a pair of denim jeans, or even shop for branded second hand items from for example Ralph Lauren, Diesel and Louis Vuitton. The clothes sold are all in a perfect state and we’re pretty sure you’ll be able to find a good deal at Mode Off. If you walk through Inaricho District you’ll notice the many shops and stores selling religious goods. Although most of the stores sell Buddhism related goods like incense, altars, urns, statues etc., you can also find many Shinto related items. It might seem a bit macabre walking through the many shops selling items for funerals but it gives you an insight of something that is a big part of Japanese culture and everyday life. Many items are intricately made and carved beautifully out of wood, and just looking at it makes you appreciate the work that has gone into making these religious items. What can we find there: religious Buddhist and Shito related items for cultural events, funeral. 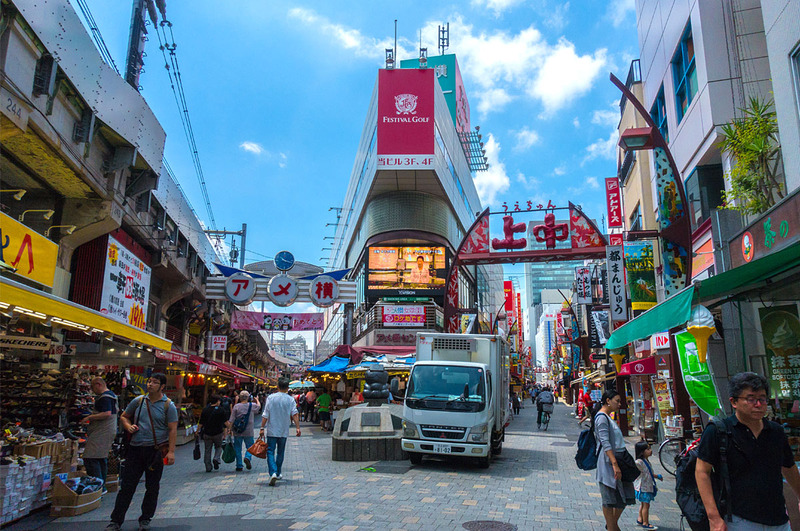 Check out our shopping guide for neighboring Asakusa, here. Matsuzayaka is a large department store located on the south side of Ueno Park and only 5 minutes away from Ueno Station. 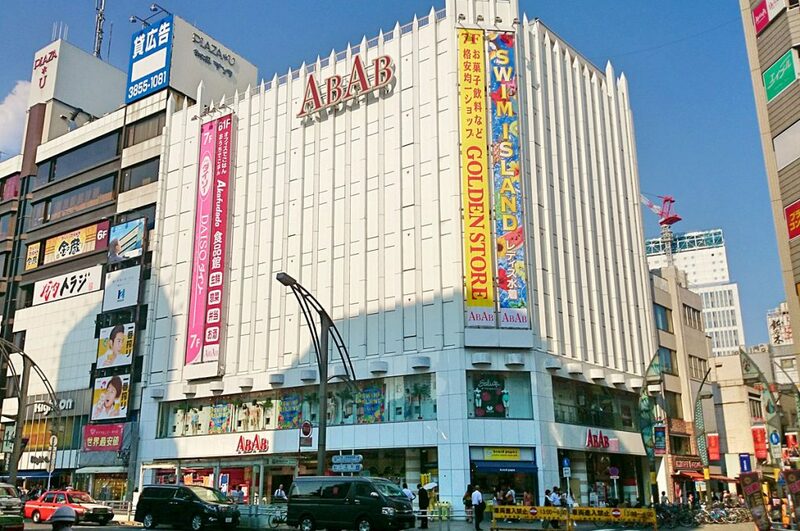 This large Japanese department store sells women & men’s clothes, suits, maternity clothes, children’s clothing, bags, home furniture & goods, cosmetics and accessories. On the basement floor you can shop for food and find restaurants. What makes this department store unique is that it caters to a more elderly crowd. Close to Okachimachi Station you’ll find an alley under the railway tracks with the unusual name 2k540 Aki-Oka Artisan. The numbers 2k540 refers to the distance, 2.540 km, to Tokyo Station. A collection of about 50 shops and cafes are spread over this hip and modern alley. 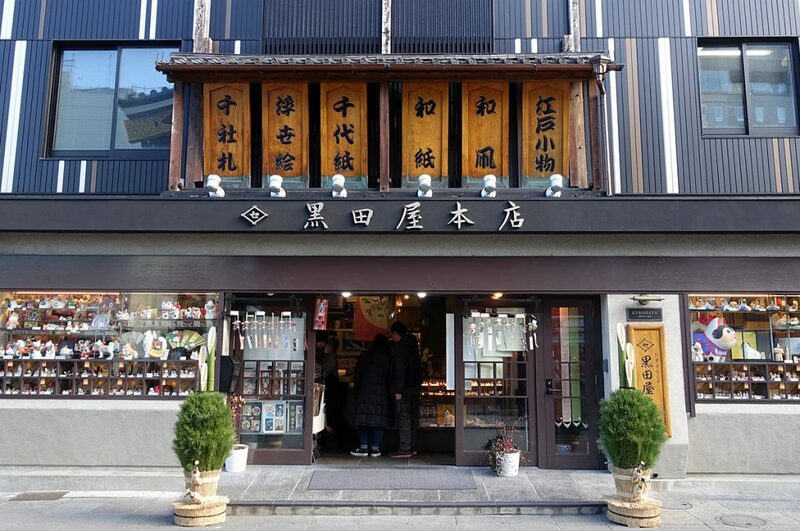 Here you’ll find exclusive artisan shops selling arts and crafts, beautiful handmade Japanese paper, fabrics, lacquer goods, jewelry, pottery and more. 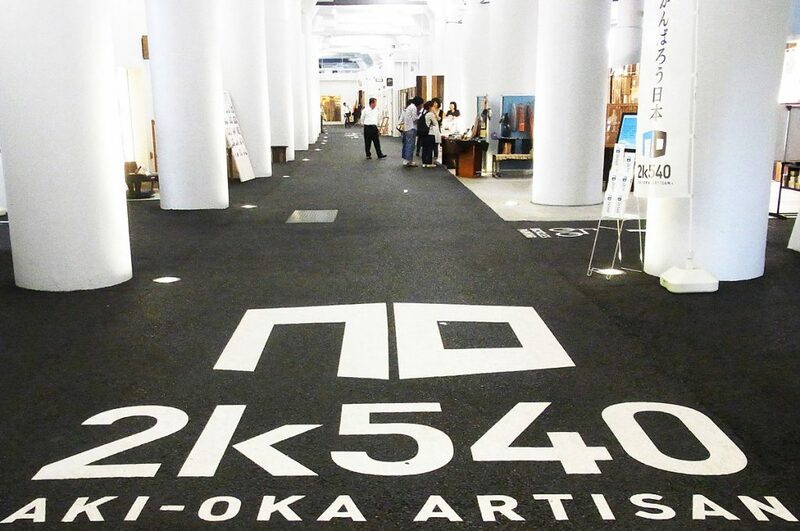 Browse the many unique shops selling contemporary art or relax at one of the many laid-back cafes to gather your thoughts, walking through 2k540 Aki-Oka Artisan alley is inspirational to say the least. Many shops also offer creative workshops teaching how to for example dye textile or paint a painting. 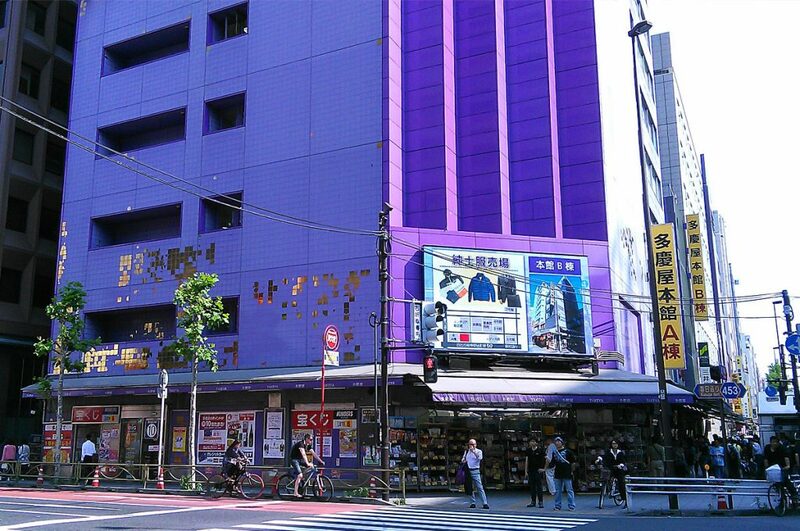 With its purple exterior and comprising of a cluster of buildings, it’s hard to miss Takeya, the oldest duty-free discount store in Japan. 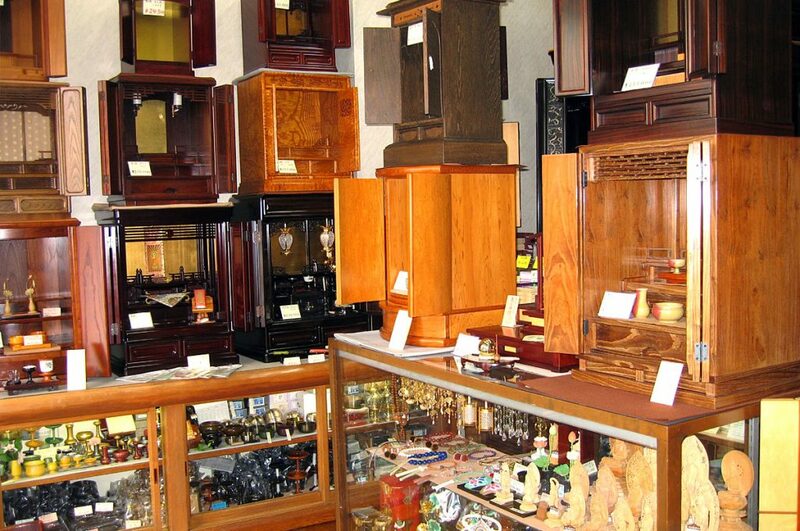 You can find many everyday items such as food products, household goods, medicine, clothing, electronics, furniture etc. at a discounted price. This no-fuss department store provides tax-free purchases (purchase over 5,000 yen) to foreigners and multi-language staff members are able to assist you in 10 languages and free Wi-Fi. Takeya is popular among Japanese and foreigners for its cheaper prices compared to elsewhere and its incredible array of goods. If you are looking for women’s clothing, head over to ABAB Ueno. Within this building you’ll find many specialized boutiques selling clothing from casual to formal. Each boutique has its own style of clothing so the choices are very diverse. ABAB is also known for selling shoes with affordable prices. You can also find many accessories and cosmetics. In the basement you’ll find a food floor, on the 7th floor you’ll find Sweets Paradise where you can go for desserts and sweets, and head up to Daiso on 8th floor if you’re looking for 100 yen products. If you like fashion, check out our article about Kawaii Fashion, here. Shopping in Ueno is fun, casual and there is something for everyone no matter how old or young you are. Ueno may be most well known for its many museums and parks, but also allows for an excellent shopping experience that leaves you coming back to this laid-back area. 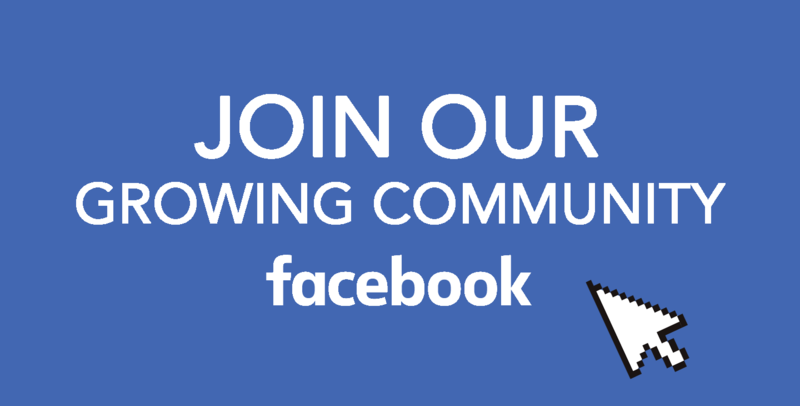 If you have any favorites shops in Ueno, let us know on our Facebook group. Also don’t forget to subscribe to our Facebook, Instagram, and Pinterest for more things about Japan. Next time more fun stuff, be sure to tune in!